All T6 Clone Receivers have this bug. Other than that will work with no problems. Last pictureshows streaming thru network. No warranties other than thereceiver will be working at arrival. We can not provide anysupport for installation / setup. Mint condition, includes Dreamlink, power adapter and remote control. No warranties other than thereceiver will be working at arrival. We can not provide anysupport for installation / setup. Free to Air receiver in good condition. HDMI High definition DVB. (original from Dreamlink). 100% Original From Dreamlink Korea. Works with T4 T5! SD or HD Model. These are ORIGINAL boards from Dreamlink Korea. Board colors vary (blueor green ). Buy now for your viewing pleasure! With rubber heatsinks, the heat is dissipated throughout the rubber blocks up towards the cover of the receiver. COOLVIEW X1 RECEIVER INCLUDES THE DL100 MODULE INSTALLED. RECEIVER. ORIGINAL BOX. POWER ADAPTER. Dreamlink T5 in Excellent working condition. 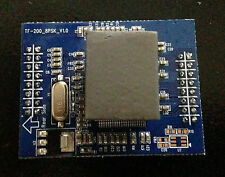 1 Dreamlink HD T5 receiver with DL200 HD Module. Right now there are a lot of Dreamlink HD, (the previous model of dreamily that now is discontinued) been sold as Dreamlink T5. This product is 100% original. DREAMLINK T4, T5, T6. THESE CODES WILL WORK FOR ALL IKS RECEIVERS / OTHERS. PRORSAT HD. JYNXBOX V3 V4 V5 V6 ETC. THE RECEIVER WILL NOT POWER UP AT ALL.